London, Feb 12 : Hollywood actor Leonardo DiCaprio has been honoured with the International Green award for his humanitarian efforts for the environment. Russian politician Mikhail Gorbachev conferred the award on the `Romeo+Juliet' actor Germany, where his beloved grandmother Helene Idenbirken lived before her death. While delivering his award acceptance speech, Leonardo even mentioned the historic fall of the Berlin Wall in his speech. "My mother and grandparents are all from Germany, and I will never forget that moment of joy as we sat around the television and celebrated with the rest of the world, watching as the wall fell," the Daily Express quoted Leonardo as stating in his speech. "Years before (at age 12), I visited my grandparents in a divided Berlin, and even then I was able to see how a simple wall threatened people''s freedoms. My oma (grandmother) took a picture of me in front of the wall the moment we came back from the East side, and I immediately pretended to push the wall down," he added. 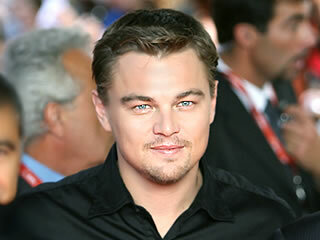 Leonardo further commended American President Barack Obama for taking appropriate actions on climate issues.